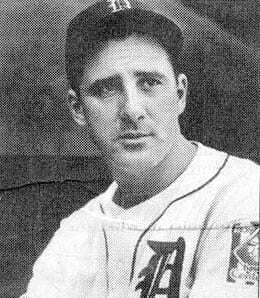 Before Saturday, Hank Greenberg had played in more playoff games than any Tiger. While Detroit went meekly into the night on Saturday, their longest serving player – a player who inexplicably still has a job – was etching himself into the Tiger record book. That’s right, by appearing in Saturday’s game (if you want to call it that; some might refer to it as a sacrifice) Brandon Inge has now played 23 playoff games in a Detroit uniform, tying him for the franchise lead with Hank Greenberg. I bet you never thought you’d be ushering those two names in the same sentence, did you? We assumed that Inge’s run of ineptitude was over in July when the Tigers acquired Wilson Betemit. And while Inge was reduced to a very small role in August, Betemit hurt his knee, allowing Inge to see a bit more PT in September – and he took advantage, recording a 900 OPS. And in the postseason, with Don Kelly being needed more in the outfield, Inge saw action in 10 of 11 games and wound up scoring six runs and hitting almost .320 with an OPS of almost 925. Inge is under contract for next season, so you know he’ll again see action in the bigs, but his one saving grace – extra-base pop – seems to have disappeared. He managed just 15 XBHs in 269 at-bats this season and we know he consistently struggles to reach the Mendoza Line, falling short this season. On-base skills? Not really. At the age of 34, Inge is going to be extremely fortunate to be anything more than a benchwarmer next season. Back to the onfield action on Saturday, how about Nelson Cruz going yard again for his sixth jack in the six-game set? He took home ALCS MVP honours for his record-setting 13-RBI explosion in the series. As we all know, when Cruz is on, he’s just sick. But then there’s those damn hammies of his. At any rate, Cruz wasn’t the only Ranger to etch his name into the record book Saturday. As part of Texas’ nine-run onslaught that put the game away in the third inning, Michael Young doubled twice, becoming just the third player to do so in one inning of a postseason game. The first was Matt Williams in the 2001 World Series and it was also done by Jacoby Ellsbury in the 2007 World Series. Over in the NLCS, the Brewers have the Cardinals right where they want them – heading back to Milwaukee. Okay, so the Brew Crew is now trailing three games to two, but the final two games (if necessary) are both in Sausage City, and don’t forget that the Brewers were baseball’s best team at home, winning 70.4 per cent of their games at Miller Park. On the road, things did not go as well. Milwaukee won just 39 of 81 as a visitor, and only won eight of its 26 series away from home. We’ll get a chance to test the Brewers’ home dominance starting Sunday night. Milwaukee Manager Ron Roenicke will send Shaun Marcum to the mound Sunday, despite the fact that the righty has been absolutely shellacked in both his playoff starts this fall. What to do? Some believe Chris Narveson deserves the start instead, but Roenicke is sticking with the hurler that was the Brewers’ best for the first few months of the season, but one that struggled in September and has continued that trend into the playoffs. This is one move that will be second guessed for some time should the Cards again slap around Marcum and steal the win. This entry was posted on Sunday, October 16th, 2011 at 1:31 pm	and is filed under BASEBALL, MLB Today, RotoRob. You can follow any responses to this entry through the RSS 2.0 feed. You can leave a response, or trackback from your own site.